Hello my beauties!! Sorry I've been M.I.A. Adjusting to our new schedule has thrown me off a bit and my Younique business is keeping me busy, but don't worry I'm back for good! 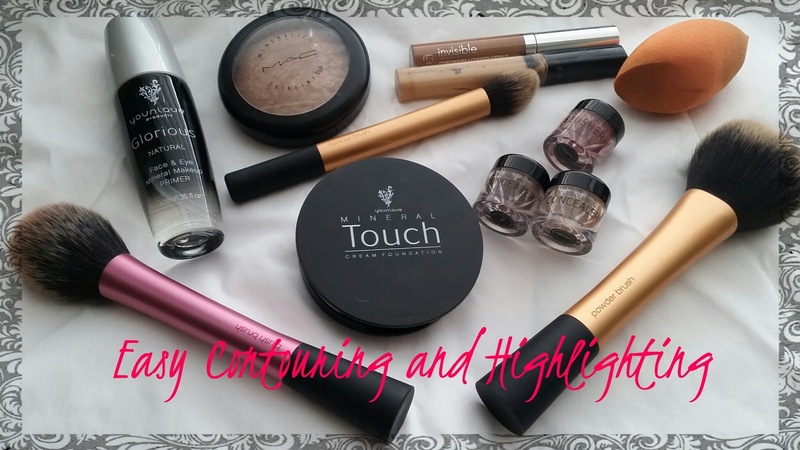 It's a huge trend right now to contour and highlight so I wanted to show you how I contour and highlight my face. I've always semi-contoured my face before I completely learned to contour and highlight. 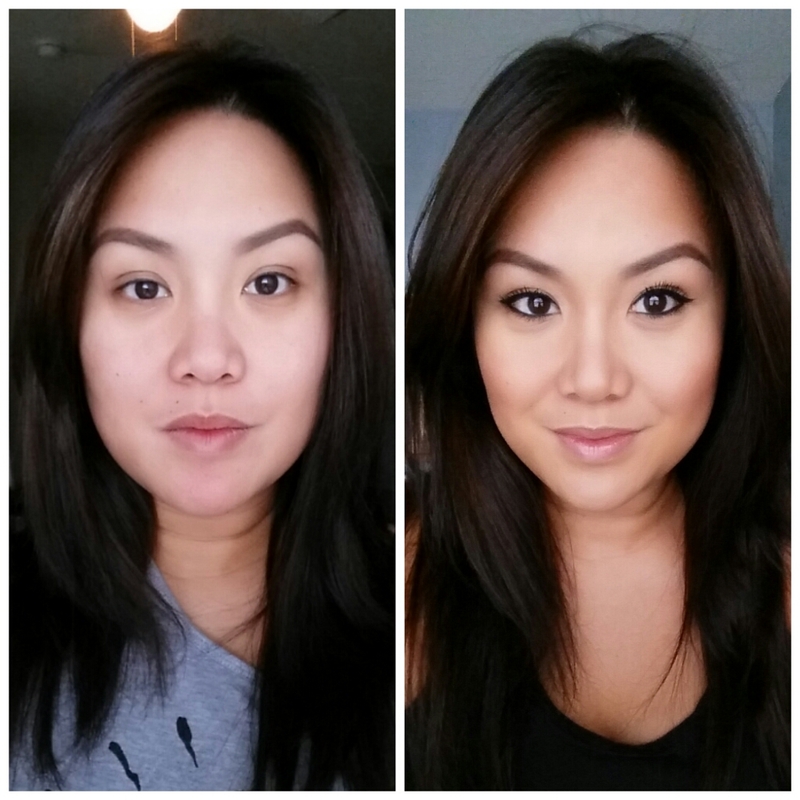 I have a fuller face and the contour helps make the illusion that it is thinner or more sculpted. Contouring and Highlighting is really crucial for camera and TV. The benefits of contouring is to give you dimension, if not you would look flat.The benefits of highlighting is used when there is a certain part or feature you would like to bring out or "highlight"or "bring focus to" when there are certain flaws you would like to take focus off of. Here's a guide to help you. I don't take credit for this photo. 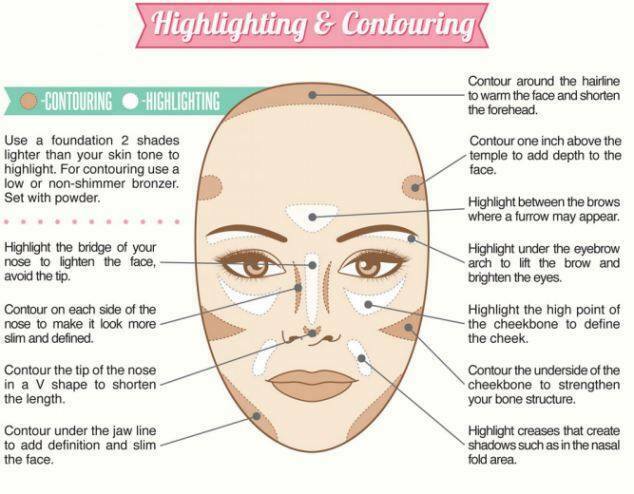 Here's a pictorial of how I contour and highlight my face. Btw this was not fun taking a before photo of my face without makeup. =P I definitely prefer to have makeup on for photos lol! Starting from the left - this is me with no makeup on. Eek!! I took my Younique primer and then applied my Younique cream foundation and applied it all over as you see in the photo and then I took my Real Techniques beauty blender (damp) to blend out the foundation to even out my skin. I took my Maybelline Fit me Concealer to highlight the areas on face. When you highlight you want to use 2 shades lighter than your skin tone. Then I took my Cover girl invisible concealer to contour my hollows of my cheek, temples, fore head, jaw line and nose. 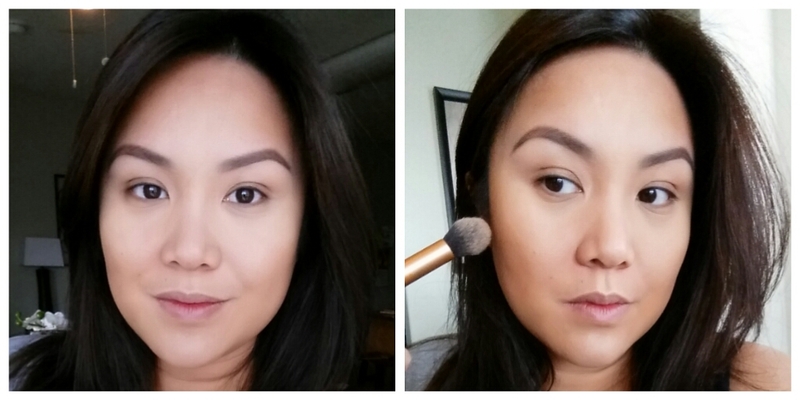 To contour you want to use 2 shades darker than your skin tone. I took my sponge to blend it out. I used Younique mineral concealer to set the areas I highlighted and then used the darker shade to deepen it more. Apply the rest of your face and there you have it! Here it is my Before and After! What a huge difference! I hope you all enjoyed this! I know this may seem a lot or overwhelming, but it's a lot of fun! Give it a try! Leave me comments or let me know what you would like to learn! Your skin is Very pretty. What do you use for skin care? Thank you Yuko! Funny you ask, my next post is about my skin care routine.